Taking a birdseye view of Miami-Dade County’s single-family home market, inventory appears steady over the past 6 months. There are approximately 6,000 homes for sale in Miami-Dade County. Sales are up with an average of 1,200 homes selling per month over the past 12 months. At a glance, it appears to be a well-balanced market. Fact is, one could report on the market and skew the numbers to say most anything, “it’s an extreme sellers market!” or “the sky is falling!,” The story differs drastically depending upon the price range and the neighborhood, the current market is price specific and very local in nature. Over the past 30 years, I’ve experienced many markets. 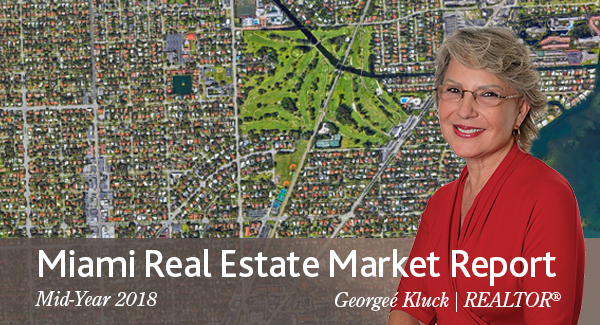 Today’s market is most interesting—it differs not only from one Miami neighborhood to another, but there are often multiple markets within each neighborhood. I would like to wrap this report into a neat little package and give you a simple recipe to determine your home value (like Zillow unsuccessfully tries to do), but there are many factors to consider in the “art” of pricing. Finding an affordable home in Miami-Dade County (under $300k) is extremely difficult. In this price range, there is an average of around 600 homes for sale each month and an average of 400 selling. There is less than 1 month of inventory resulting in an aggressive sellers market. Between $300K-1$M is a zone to be very cautious when pricing. Homes vary between balanced and buyers market. Each $100k pricing increment has its own market trend. Overall, prices are edging up, yet hundreds of homes are left unsold and languishing on the market. The market between $1M and $2M is probably the most complex. It often includes a combination of waterfront and non-waterfront homes in varying neighborhoods. Overall values remain consistent across the board with 12-30 months in inventory resulting in a buyers market. The price range of $3M to $5M is experiencing a decrease in inventory. Value remains steady in spite of a decline in the number of sales. There is a strong buyers market with approximately 30 months of inventory. The number of homes in Miami on the market over $5M is soaring with a 50% increase since the same time last year. At this price point, less than 1 home sells every 2 months. Most people in this price range do not “have to” sell and there is no evidence that the market has decreased in value. One cannot go broke making a profit. With the lowest interest rates in history, it is far more likely that prices will go up than interest rates go down. Neither you nor I can accurately predict what the market is going to do. Make your real estate decisions based upon “today’s” market and don’t let a few dollars more or less stand in the way of your quality of life. The National Association of Realtors reports 5.5 million homes sold in the US in 2017 and more than 2 million licensed agents. The top 1% of agents conduct the majority of the sales. When making real estate decisions, choose an agent with a proven track record that is going to consider your personal situation and your unique market. Georgeé & Company is in the top 1% of agents in the nation. Our success is built on looking out for our customers’ needs. Call me today at 305 608 5269. My team has the reputation and expertise you are looking for.